Channel super laid-back Cali vibes in this pretty tie-dyed number! 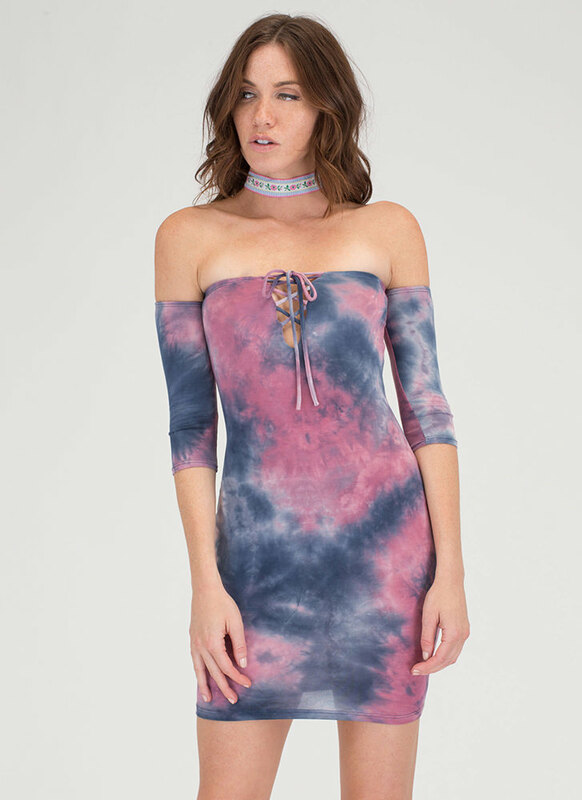 Stretchy mini dress features an allover tie-dye print, elbow-length sleeves, and a plunging off-shoulder neckline with a non-adjustable lace-up closure. Pattern placement may vary.